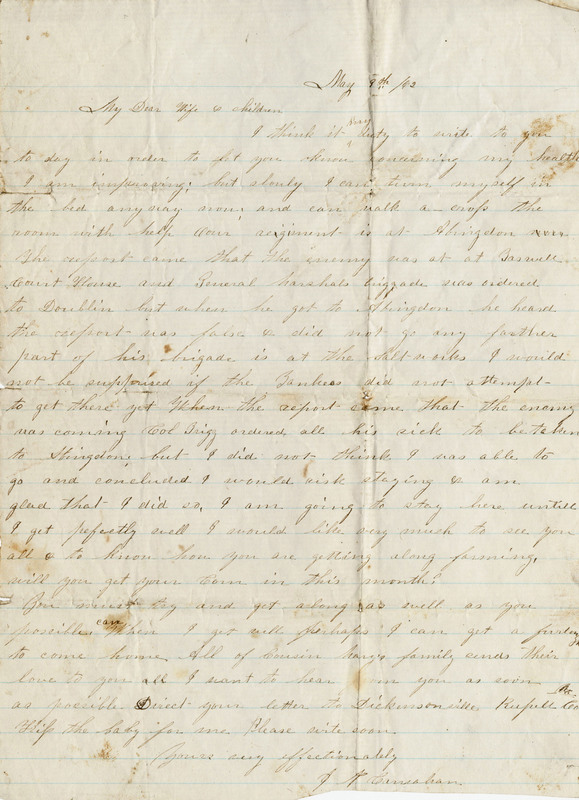 This collection contains 16 letters written by John Newton Carnahan, a private in Company F, 54th Virginia Infantry, during the Civil War. 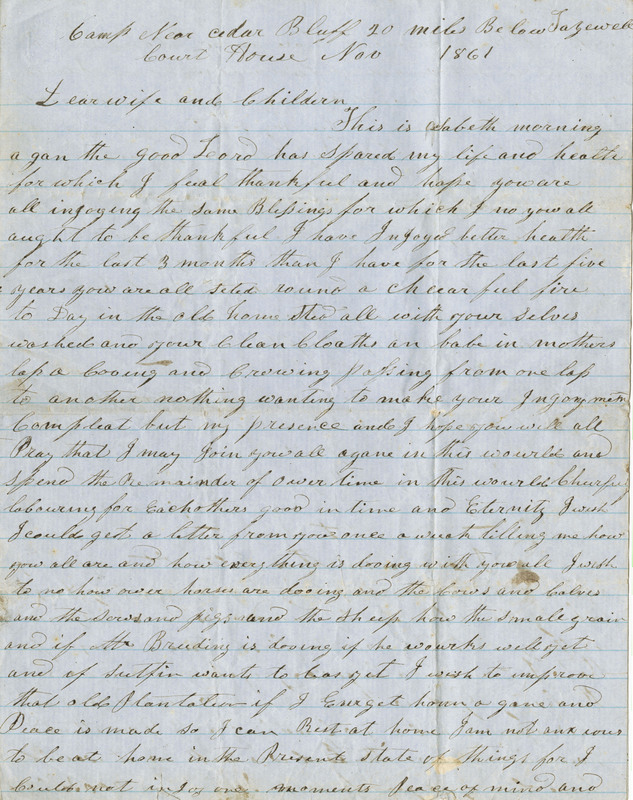 Dated from camps in Southwest Virginia and eastern Kentucky, the letters are addressed to Carnahan's wife, Juliette Sophia Calfee Carnahan, and children at home in Pulaski County, Virginia. 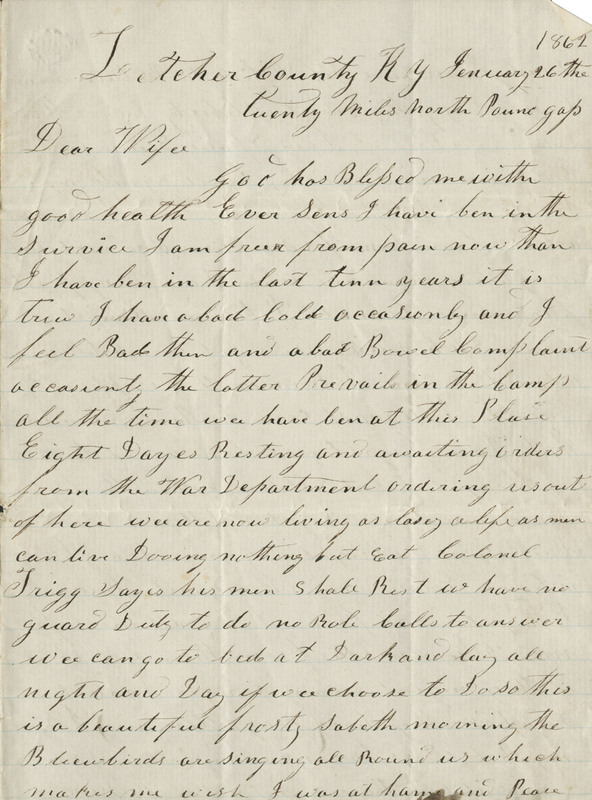 Carnahan's letters focus largely on personal matters, instructing his children in good behavior and offering his wife counsel on the management of their farm and the sale of produce. 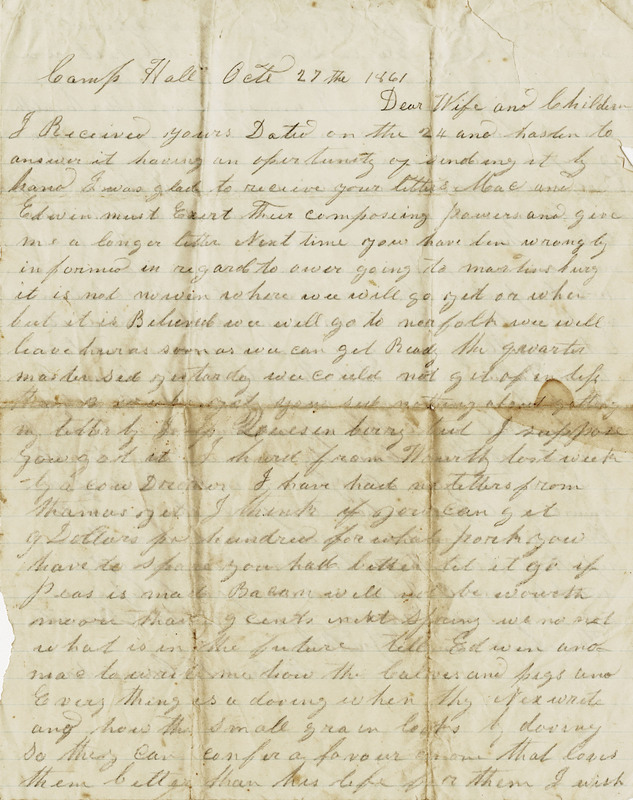 He relays news of mutual acquaintances, makes frequent mention of his religious faith, and continually writes of a deep homesickness while pleading for more letters from home. 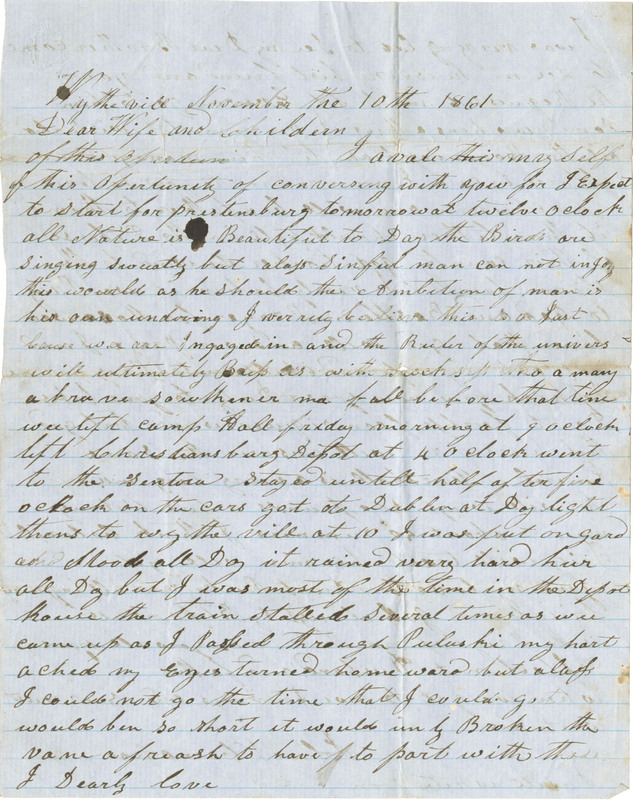 Carnahan notes camp conditions and initially claims his health is much improved by army life, citing the weight he has gained while in service. 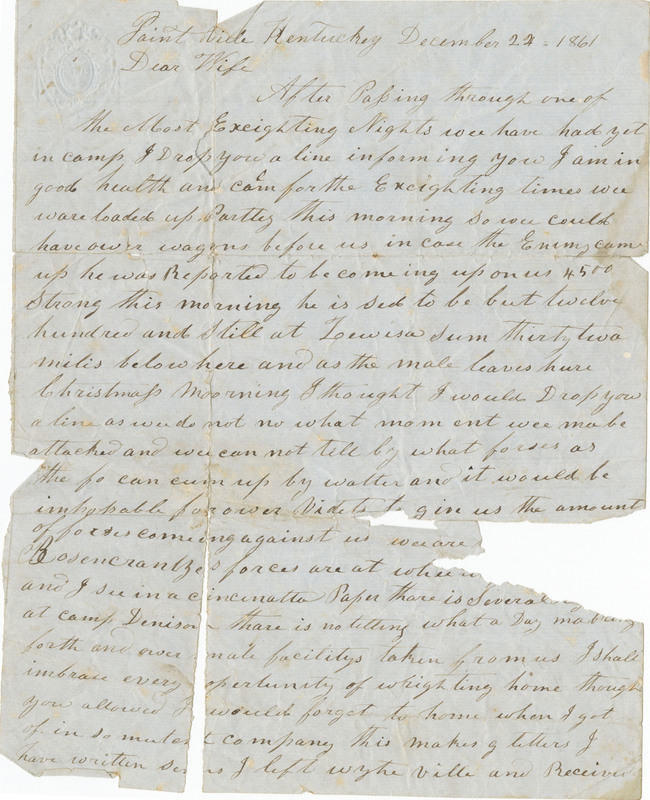 In later letters, however, he increasingly complains of bowel trouble and states that he is suffering from "colery [cholera] morbus," which today would be diagnosed as acute gastroenteritis. 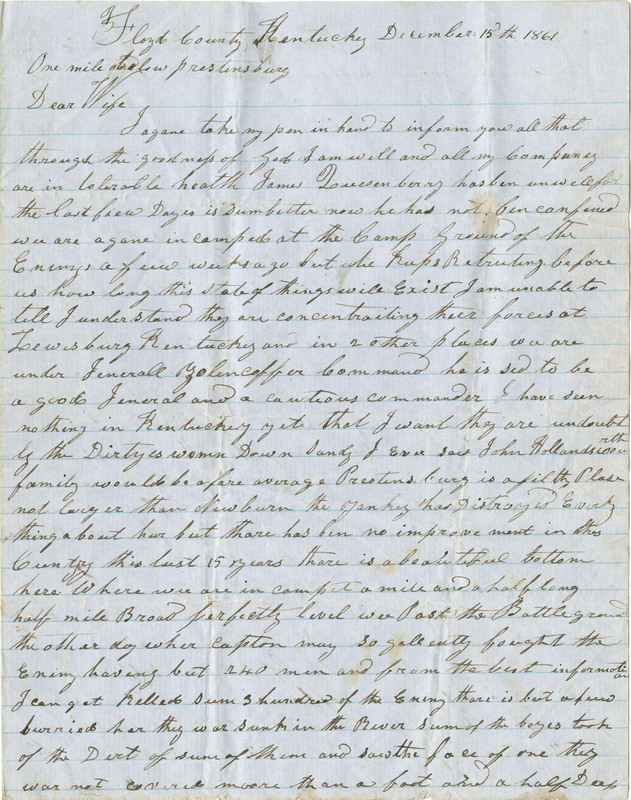 Departing from personal matters in his letter of December 15, 1861, Carnahan describes the aftermath of what was probably the Battle of Ivy Mountain, Kentucky, though his casualty figures do not match those in the historical record. 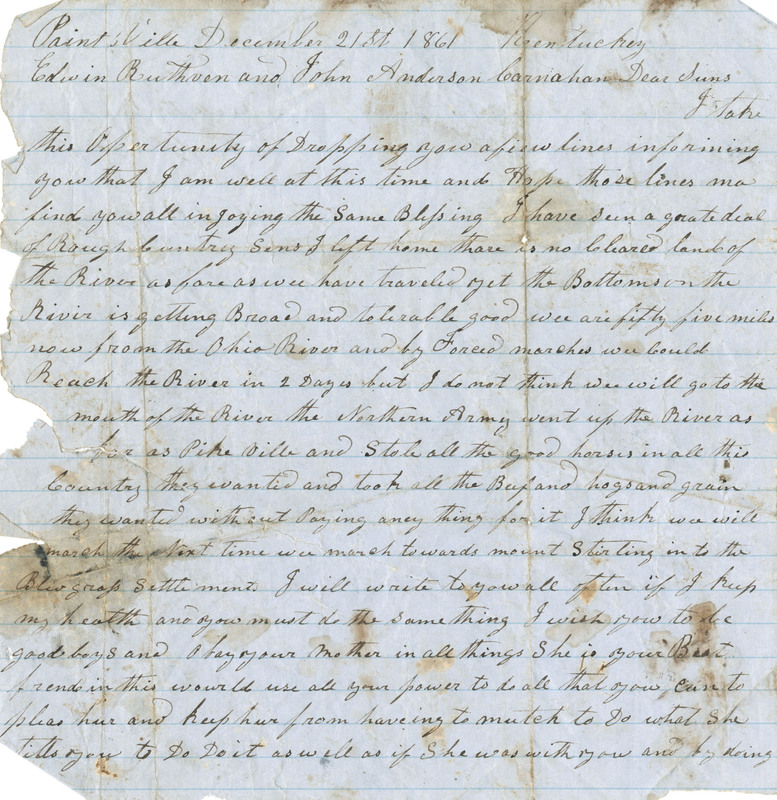 On January 17, 1862, he briefly writes of the Battle of Middle Creek, Kentucky, in which his regiment had participated a week earlier. 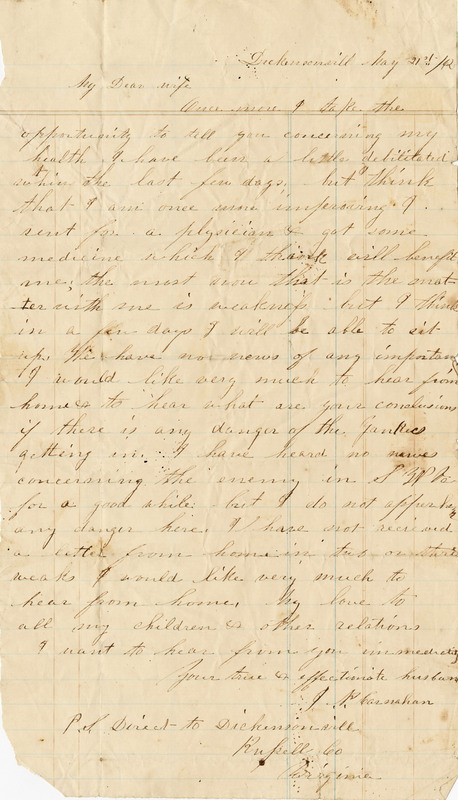 Carnahan describes the Middle Creek battle again in a letter dated February 3, 1862, when he also provides a lengthy account of the regiment's movements since the previous November. 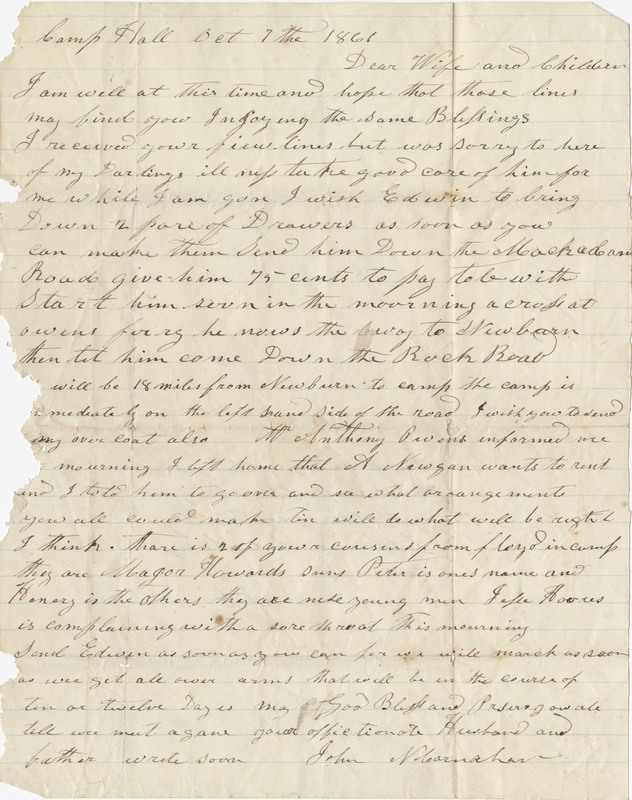 Following a three-month gap, the collection resumes with a letter dated May 9, 1862. 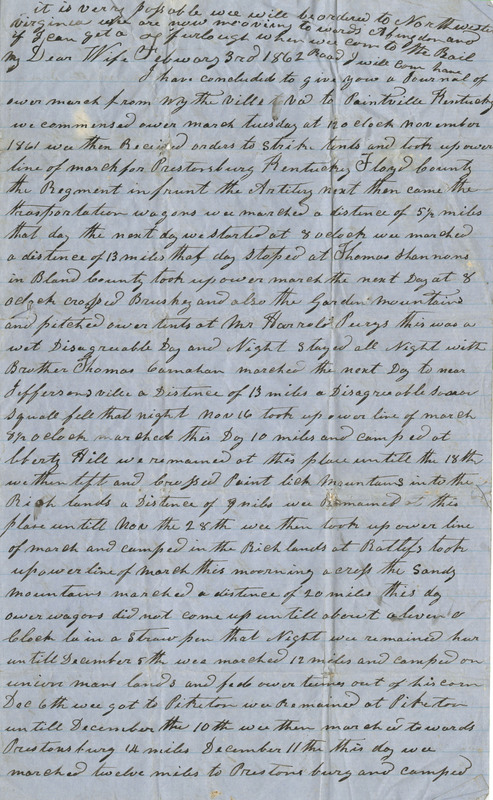 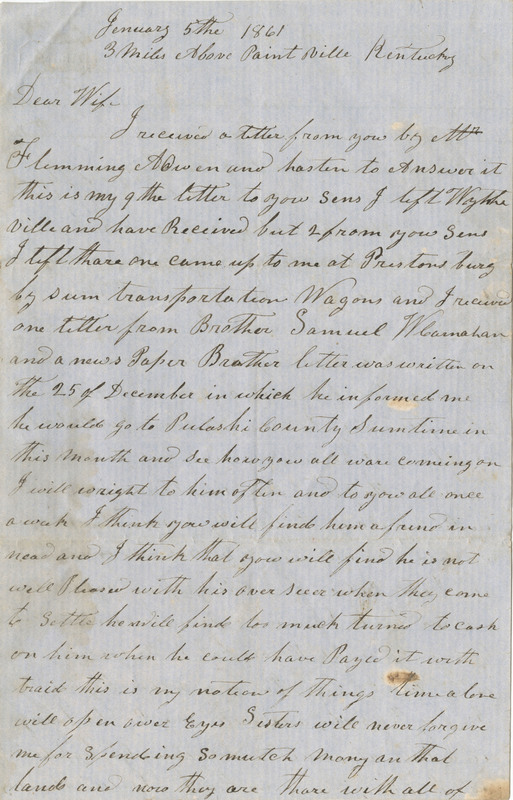 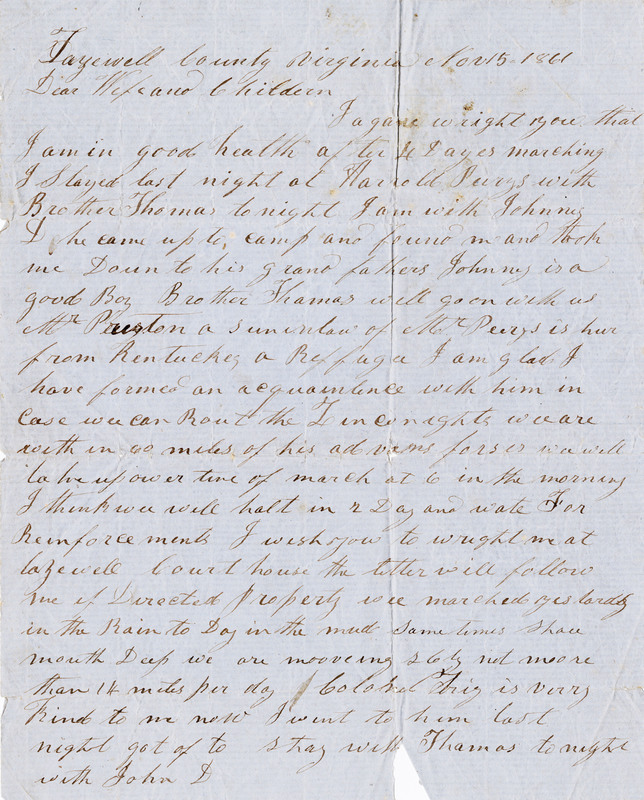 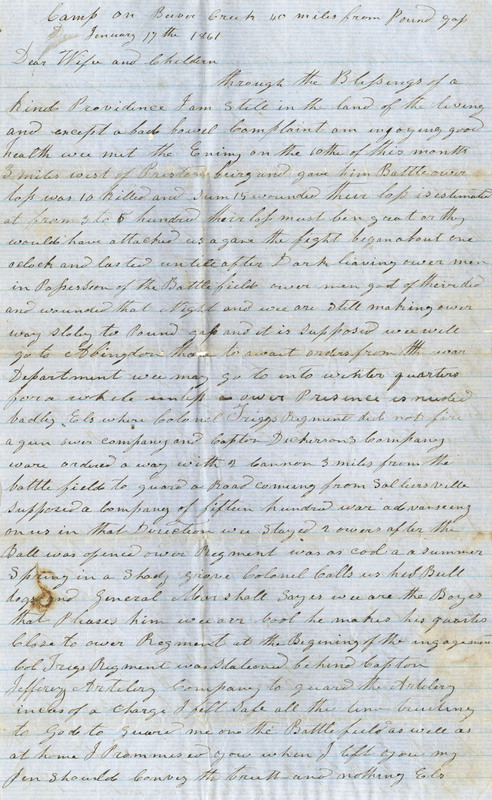 Not in Carnahan's own hand, this letter and another dated May 21 were dictated, perhaps to his cousin Mary Aston, and find the soldier in ill health in Dickensonville, Virginia. 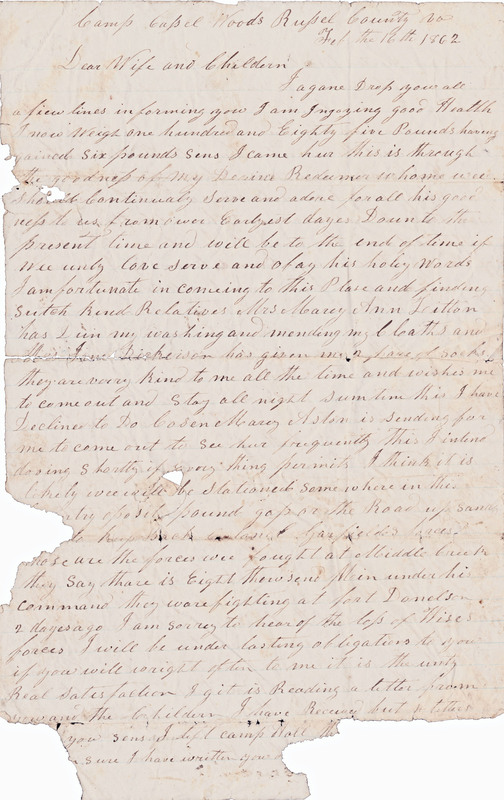 This collection was donated to Special Collections in 2009. 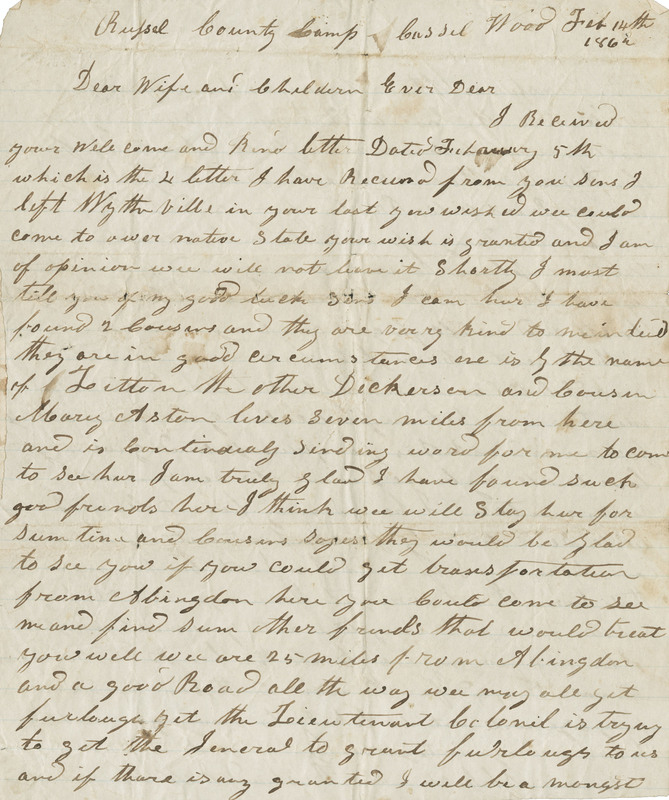 Permission to publish material from the John Newton Carnahan Letters must be obtained from Special Collections, Virginia Tech.